From 20 September 1803, her married name became Wellesley. From 1810, her married name became Paget. 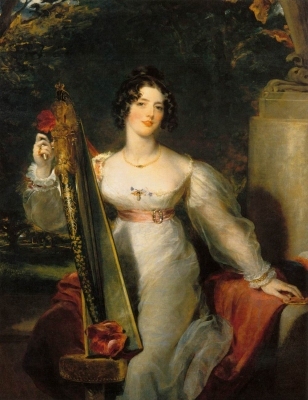 After her marriage, Lady Charlotte Cadogan was styled as Countess of Uxbridge on 13 March 1812. After her marriage, Lady Charlotte Cadogan was styled as Marchioness of Anglesey on 4 July 1815. After her marriage, Julia Jephson was styled as Marchioness of Ailsa on 10 November 1846. From 10 November 1846, her married name became Kennedy. [S6] G.E. Cokayne; with Vicary Gibbs, H.A. Doubleday, Geoffrey H. White, Duncan Warrand and Lord Howard de Walden, editors, The Complete Peerage of England, Scotland, Ireland, Great Britain and the United Kingdom, Extant, Extinct or Dormant, new ed., 13 volumes in 14 (1910-1959; reprint in 6 volumes, Gloucester, U.K.: Alan Sutton Publishing, 2000), volume I, page 67. Hereinafter cited as The Complete Peerage. [S6] Cokayne, and others, The Complete Peerage, volume I, page 68. Her married name became Gordon. After her marriage, Catherine Cope was styled as Countess of Aboyne on 28 December 1794. [S6] G.E. Cokayne; with Vicary Gibbs, H.A. Doubleday, Geoffrey H. White, Duncan Warrand and Lord Howard de Walden, editors, The Complete Peerage of England, Scotland, Ireland, Great Britain and the United Kingdom, Extant, Extinct or Dormant, new ed., 13 volumes in 14 (1910-1959; reprint in 6 volumes, Gloucester, U.K.: Alan Sutton Publishing, 2000), volume III, page 162. Hereinafter cited as The Complete Peerage. [S6] G.E. Cokayne; with Vicary Gibbs, H.A. Doubleday, Geoffrey H. White, Duncan Warrand and Lord Howard de Walden, editors, The Complete Peerage of England, Scotland, Ireland, Great Britain and the United Kingdom, Extant, Extinct or Dormant, new ed., 13 volumes in 14 (1910-1959; reprint in 6 volumes, Gloucester, U.K.: Alan Sutton Publishing, 2000), volume I, page 130. Hereinafter cited as The Complete Peerage. Her married name became Bruce. After her marriage, Constance Mary Beckett was styled as Baroness Aberdare of Duffryn on 25 February 1895. Child of June Isabel Chaplin and Sir Rudolph Edgar Francis de Trafford, 5th Bt. [S2] Peter W. Hammond, editor, The Complete Peerage or a History of the House of Lords and All its Members From the Earliest Times, Volume XIV: Addenda & Corrigenda (Stroud, Gloucestershire, U.K.: Sutton Publishing, 1998), page 50. Hereinafter cited as The Complete Peerage, Volume XIV. From 28 May 1877, her married name became Roche. After her marriage, Hon. Cecila O'Grady was styled as Baroness Fermoy on 28 May 1877.